I tread lightly discussing coffee because of course it’s the American way! But it’s my job to educate you with the truth so you can make informed decisions in your health. Because your health matters! According to Dr. Michael Greger and his research, coffee may decrease the risk of Parkinsons, Alzheimers, Depression, Diabetes, Chronic Liver Disease, and Cancer. Adrenal Stress – If you are like most people you have stress in your life. Drinking coffee “whips the horse”. This is a very serious health risk for your delicate adrenal glands. It can cause adrenal exhaustion, hormonal imbalances, chronic fatigue, and more. 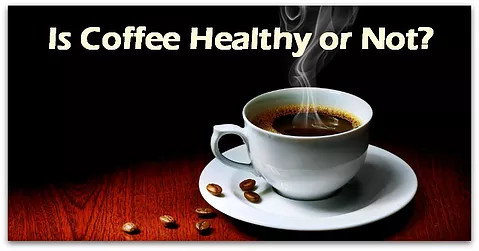 There are worse things you can put in your body than coffee, but coffee is not a healthy drink. There are clearly more health risks than health benefits. I personally recommend limiting coffee to a few times a week if you’re healthy, and avoiding coffee completely if you have any diagnosed health conditions, fatigue, or excessive stress. it is if you can tolerate caffeine and do not have adrenal fatigue. What are some good alternatives when you love that cocoa/chocolate taste? Thanks! Then I do my best to have another 20 oz’s in the afternoon too. I’ll work more on cutting this in half over the next month.